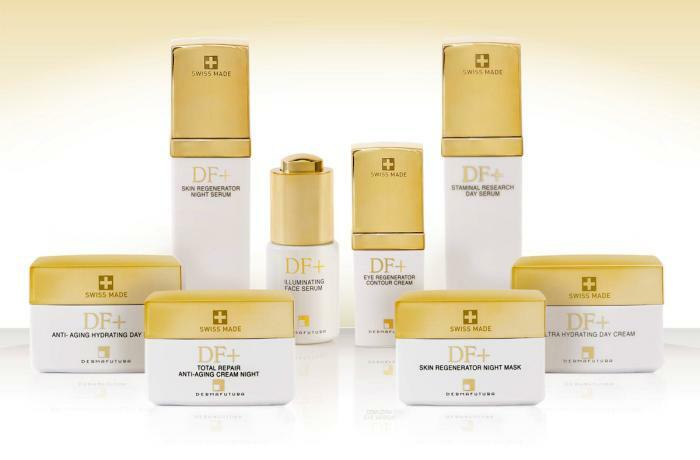 DF+ is the new range from prestige brand Dermafutura, a complete line of facial products created for skin that needs specific treatment. Quadpack created a luxury packaging suite, comprising jars, airless packs and a high-end dropper, for the seven products in the range. Launched in Europe/Canada, DF+ fights the signs of ageing with proven efficacy. The range was created by combining advanced research techniques on plant stem cells with natural active ingredients from plant extracts. Penetrating deep into the skin, DF+ is designed to give your face renewed luminosity and radiance. Illuminating face serum DF+ is contained in a 15ml bottle with a dropper, for precise application to the local area. Skin Generator Night Mask, Total Repair Anti Aging Night Cream, Anti Aging Hydrating Day Mask and Ultra Hydrating Day Cream all come in a 30ml jar. The day and night creams also have an ergonomic PP spatula to glide the formula onto the skin. This has been subtly branded with the Dermafutura logo. Eye Regenerator Contour Cream (15ml) Staminal Research Day Serum and Skin Generator Night Serum (30ml) come in sophisticated containers endowed with Yonwoo's airless technology. The packs shield the advanced formula from air, gas and external contaminants. The entire range enjoys a consistent, sumptuous look and feel, with white colour-matched bodies and gold metallized caps. The packs have been selected from a range of sources for their properties and suitability for the formulas applications. The decoration has been applied in such a way to harmonise the aesthetics across the range.